Someone turned 21 years old today! You know what that means, boozing it up at the pub and getting free birthday drinks! Whooo Partay! Oh wait, right she’s a cat. Well SOMEONE needs to have a drink today! So in her honor I’ve made up a tasty cocktail. 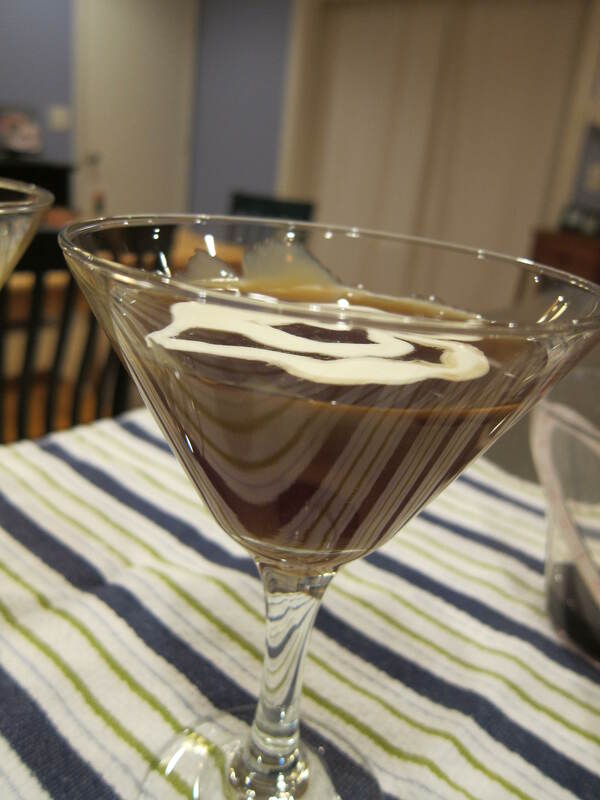 Decorate a martini glass with a drizzle of caramel sauce. Shake well and pour into your caramel swirled glass, then float a teaspoon of cream over the top. Very appropriately Named for Miss Sugar! Going to try when I get over this cold. Hey, maybe if I double it it will get rid of this cold. Thanks Kathy!